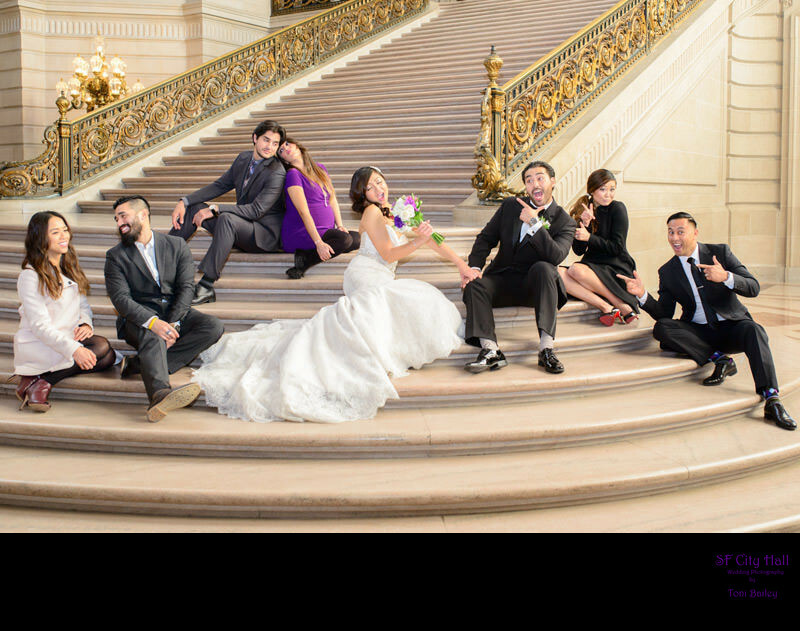 Reserved Weddings at San Francisco City Hall are also available on Saturdays. Because of the fact that the building is closed to the public, you can have your wedding ceremony on the Grand Staircase. 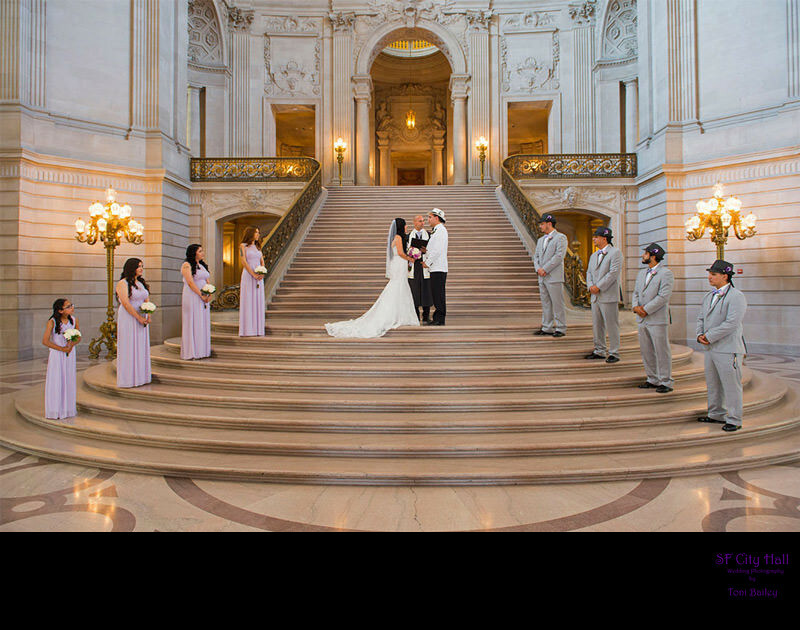 As you can see by the image below, it provides a beautiful backdrop for an elegant San Francisco City Hall wedding. When you have the whole building to yourself on a Saturday, it also allows you to take wedding pictures like the one below. Not always available during the week since the Staircase is often full of tourists and other wedding parties. A great location for posing your friends and relatives. 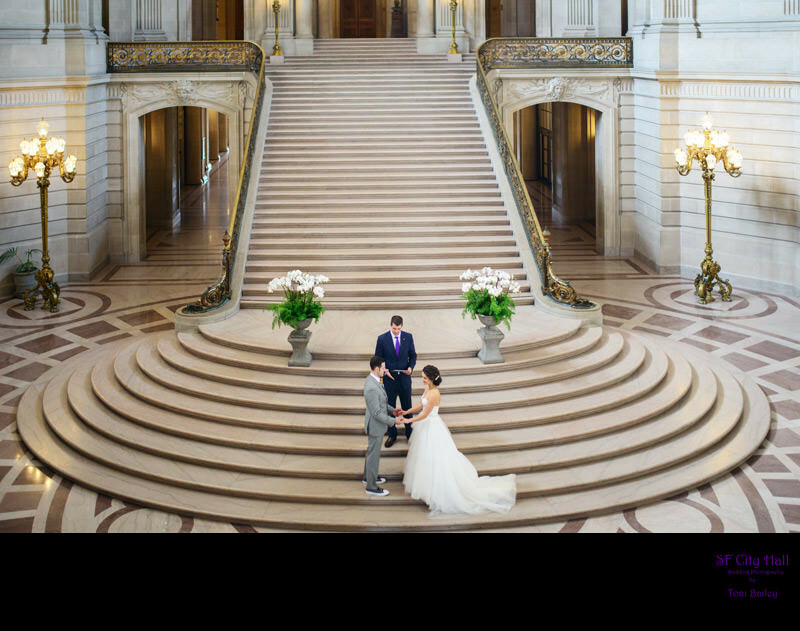 San Francisco City Hall offers packages for you to rent out City Hall as a private venue for your wedding from 2 hours on the weekend up to an entire 8 hours!